Attention! 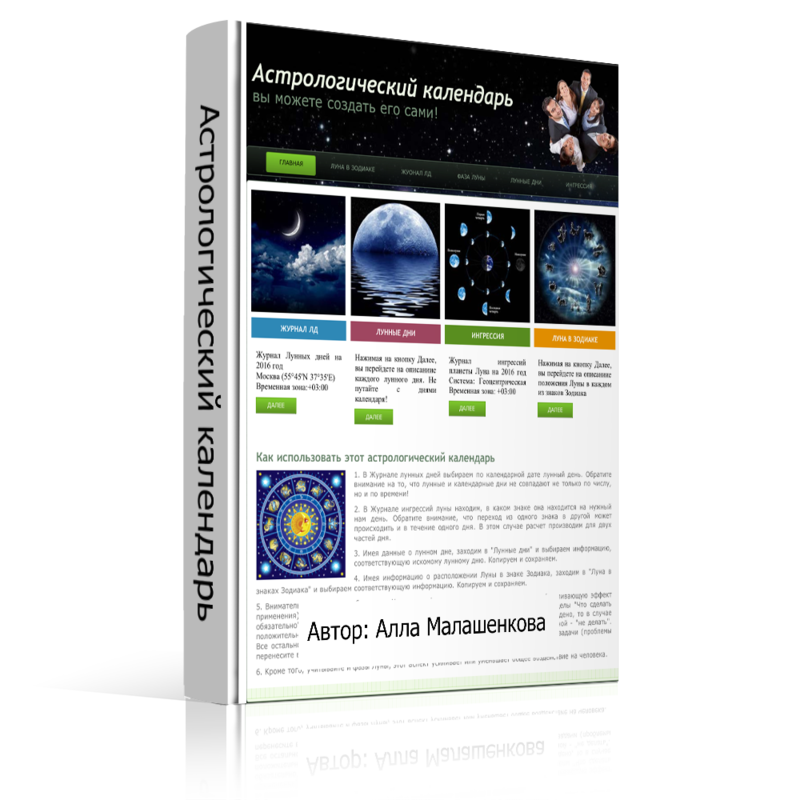 This astrological calendar is intended only for those people who want to establish their lives, not paying attention to the superstition of scientific figures in relation to astrology. This calendar will allow you to learn much about your life and allow you to create a life in which there will be very few disappointments and failures. You will not be tied to forecasts in print or on the Internet. And, of course, those opportunities that you would not even notice in ordinary life pass by you. In addition to the calendar itself, you get a video for working in the calendar and 5 free Skype-consultations, if you have any questions about using the calendar.